Once again, it's time to share with you a book that's on my radar. A book that won't be released for a few months, but I'm certainly keeping an eye on it in anticipation. I came across Kate Morton's work back in 2008. Her first book, The House at Riverton, was one of the very first I reviewed when Kittling: Books was born. I've read and reviewed each one of her books since then, so when I heard that she had a new one coming out in the fall, you know I made a note of it. Her books normally have a historical and a present-day timeline which is one of my favorite devices. Few writers can do that as well as she. 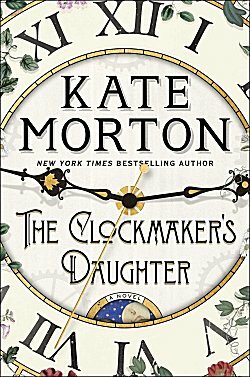 The book is called The Clockmaker's Daughter, and it will be released on October 9. Let me share the cover and synopsis with you. Synopsis: "In the summer of 1862, a group of young artists led by the passionate and talented Edward Radcliffe descends upon Birchwood Manor on the banks of the Upper Thames. Their plan: to spend a secluded summer month in a haze of inspiration and creativity. But by the time their stay is over, one woman has been shot dead while another has disappeared; a priceless heirloom is missing, and Edward Radcliffe's life is in ruins. Certainly sounds like a good'un, doesn't it? Have any of you read Morton's previous books? 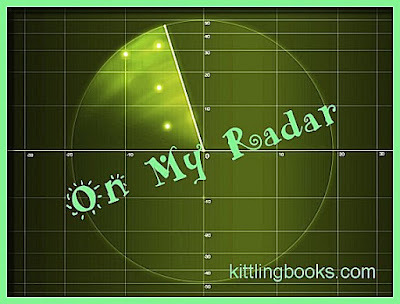 Are you a fan, or is her writing not really your cup of tea? Inquiring minds would love to know! Thanks for the reminder of this one, Cathy. I would like to read it, too, and if you get there first, I'll be interested in what you think. I just might get there because I was recently offered an ARC. Oh, I'm definitely waiting on this one. I've not read all of Morton's books, but I've read at least three of them. And have intentions to catch up with the rest. I like her blend of historical and sort Gothic and a mystery and a family saga and...you get the picture.